If you’ve seen any of the photos from our training week in Istanbul – photos of food, of drink, of ancient wonders, of sunlight on the Bosporus – you will almost certainly have also heard me or Lizzy stressing (maybe in a rather defensive tone) that we sat through more than 30 presentations during the course of our five-day not-holiday. In an attempt to divide up the sharing of our endeavours according to Smithian principles, I assigned myself – foolishly, as it turns out – the task of passing the fruits of these presentations onto you. During the few brief respites I’ve had in the last few weeks from my usual showboating metadata artistry, I’ve been going through my copious (if occasionally cryptic) notes, and it’s been dawning on me just how much information was thrown at us. In a former life I was a librarian at the Guardian, answering queries from journalists and, among other things, blogging historical content from the digital archive. 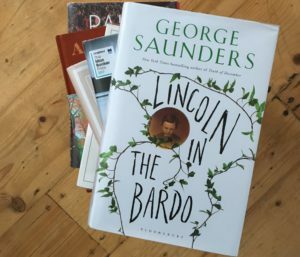 In 2011 I wrote a blogpost about the history of the Booker Prize, the UK’s biggest prize for literature but also its most controversial.